Always an advocate for making art and poetry part of the everyday experience, I am delighted to discover Poem House. 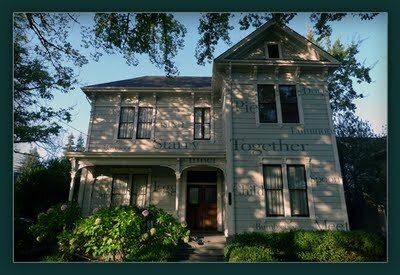 Jeff Goodby, a California visual and media artist, has transformed a stately Victorian home into evocative, working, installation art. (And thanks to artist Tracy Weil for sharing this word-art creation with me).